This car, born as a Porsche Boxster, is now running a 2003 2.7 liter with ported heads, beehive valve springs, custom cams and 12.5 compression ratio. With Troy Acosta at the wheel, it won the 2014 SCCA Pro Solo R2 Championship. 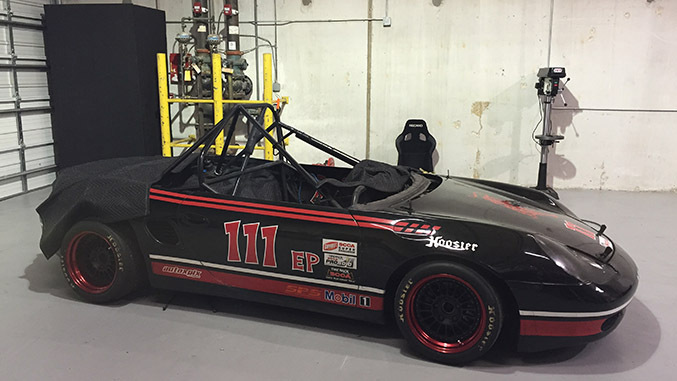 Winding Road Racing is now updating the roll cage and revising the seat mounting. Greater safety with lower weight is the goal.